Ever wonder what would happen if one of the deep insiders in the big Music Row system broke free and started spilling the beans on all the stuff that happens behind-the-scenes? That is exactly what former radio promoter and executive Tom Moran is doing on his Inside Nashville podcast. Moran promises to “Pull the curtain back on the country music business and how it relates to country radio,” and that’s what happens as he interviews guests and gives his own commentary on the skewed way major label country music does its business. Tom Moran started his career at Billboard in the music chart department in the 70’s, and over the next 43 years worked for eight different record labels, including Polydor Nashville, Warner Bros. Nashville, Sony Music Nashville, and Toby Keith’s Show Dog Nashville, representing artists such as Miranda Lambert, Blake Shelton, Little Big Town, Ashley Monroe, and many more. 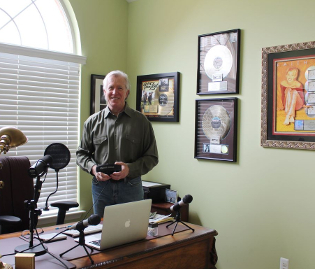 After his final destination of IRS Records was dissolved by its owner Universal Music, Moran decided to start a podcast to speak about what he learned while inside the Nashville system. On the most recent episode of Inside Nashville, Tom Moran speaks to Sturgill Simpson’s manager Mark Dottore. Mark helped craft the strategy that took Sturgill Simpson from a complete unknown to getting nominated for Album of the Year at the 2017 Grammy Awards. A staunchly independent thinker who has also managed Marty Stuart, Connie Smith, Shooter Jennings, and still manages Kathy Mattea along with Sturgill, March offers unique insight on how to circumvent the Music Row system and still be successful. Dottore, like Tom Moran, also spent time within the major label environment on Music Row, and knows the system well. At the time Sturgill Simpson was playing in his original band, Sunday Valley. 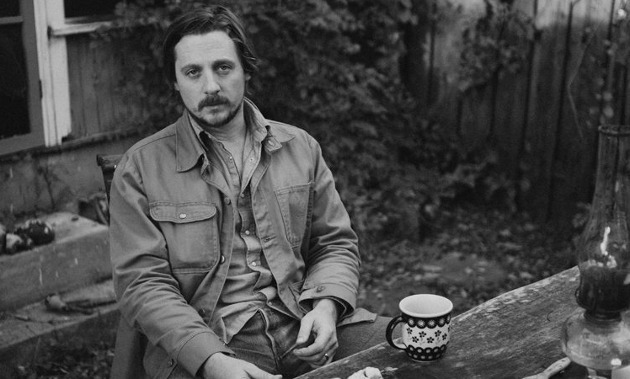 Today, Sturgill is headlining festivals, and stringing together sold out shows in large-capacity venues across the country, including for his upcoming tour starting in July. But at the start, Sturgill was doing his own booking. Marc Dottore and Tom Moran go on to discuss how Sturgill went from fledgling independent artist to a massive success story in music, and all without the help of Music Row. It’s a testament to the smarts of Mark Dottore, and the drive and spirit of Sturgill Simpson. The whole episode can be heard below, while all 40 of episodes of Tom Moran’s Inside Nashville podcast are a treasure trove of insight into what makes the country music business tick, for better or worse. Wow, thanks for posting this info and the link. I’d never heard of Tom Moran before, now I have a lot of listening to do. One of my questions I hope he addresses – why is it so many country albums debut at #1 but then a couple of weeks later are nowhere in sight. Do the labels wait for a slow week to release some albums, hoping to gain marketing copy of having a #1 album to their credit? Thanks again for introducing us to Sturgill, trig! Bingo. This is what I was talking about the other day with Chris Stapleton’s release. This here is how you do it. I first heard about him when I was living in Austin and buzz was everywhere. And then I saw him at ACLFest and that was it. He absolutely nailed it. Also, really great explanation of their global vision and the difference between the GRAMMYS and the ACM and CMA awards. It’s the best I’ve heard. He called you a “kid”. You’ve arrived, Kyle. Thanks for sharing – gonna give the podcast a listen now. I heard this a while back and couldn’t stop listening. Interesting how they manage SS like an indie rock band. No SS on the radio because they don’t cater to radio at all. Interesting listen and read. I also like that he re-iterates how high energy and intense Sunday Valley could be. It’s a good reminder for the group of people who complained that Sturgill is “selling out” or “going punk rock” based on his SNL performance. As I have always said, he has always had that intensity about him. Many people are going to say the same thing about his new slimmed down lineup and his more aggressive / badass lead guitar playing on his upcoming tour. But, again, that element has been who Sturgill is since Day 1. It’s also cool to get more of the back story on Sturgill’s writing process. Crazy how he does everything so quickly and can just crank out stuff that is so amazing. A process that takes others months or years to do (months in the studio, and months out)….and ends up producing songs that aren’t half as creative, unique or just overall good as Sturgill’s stuff. In what context did he name drop him? Trigger, thanks for pointing me to this podcast. Had no idea about it! Can’t wait to listen! Heard about his podcast a few weeks ago and have slowly been making my way through past episodes. He’s got a great take on the country music industry and has great guests on. Really enjoyed his Ryan Beaver interview. Makes me happy to hear Dottore acknowledge the importance of Trigger’s write-up of the Pickathon show. I know that’s the first time I had ever heard of him. If I had had a smartphone at the time, I would have bought the mp3 version of To The Wind And On To Heaven. Alas, I would only buy CD’s back then and that wasn’t an option. ANd now, of corse, the MP3 isn’t an option, either. Now, I’ll buy an mp3 if it’s an MP3 only release, EP or the CD’s just too damn expensive. As it is, I pre-ordered High Top Mountain and got to see a him at a sparsely attended, no cover show at a very small venue in 2013. And for that, I will always be thankful to SCM. It’s pretty much a blessing that Music Row passed on Sturgill. Although they may regret it one day. Awesome – thanks! I’m always looking for quality podcasts and this looks great.